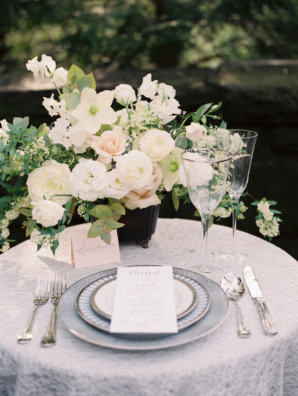 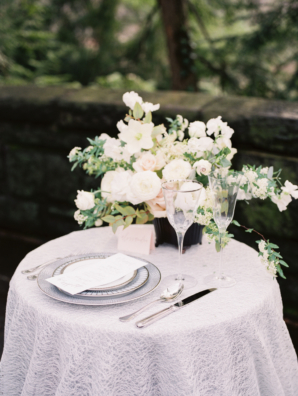 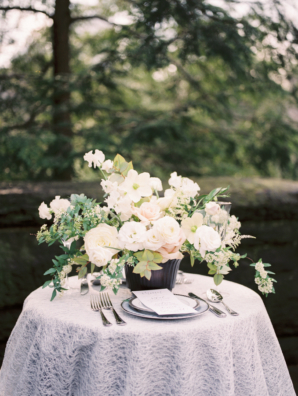 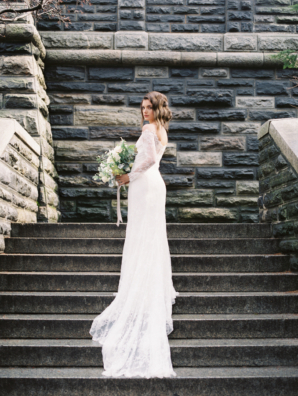 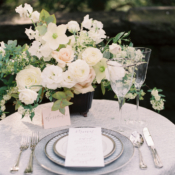 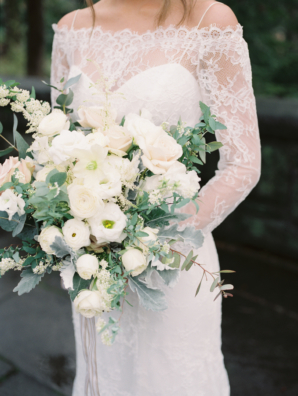 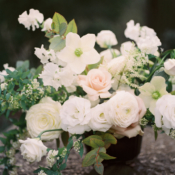 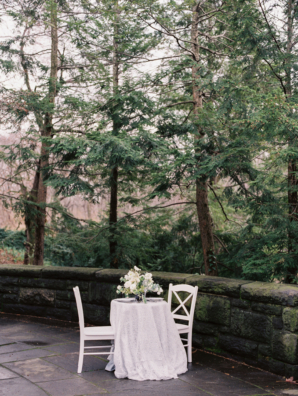 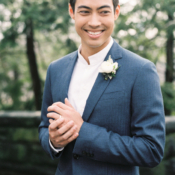 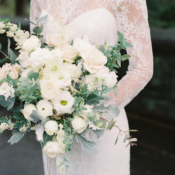 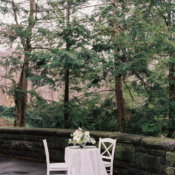 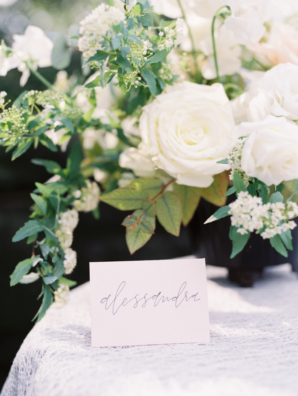 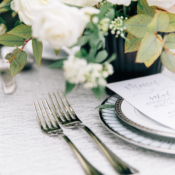 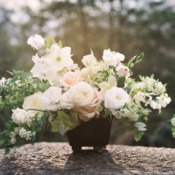 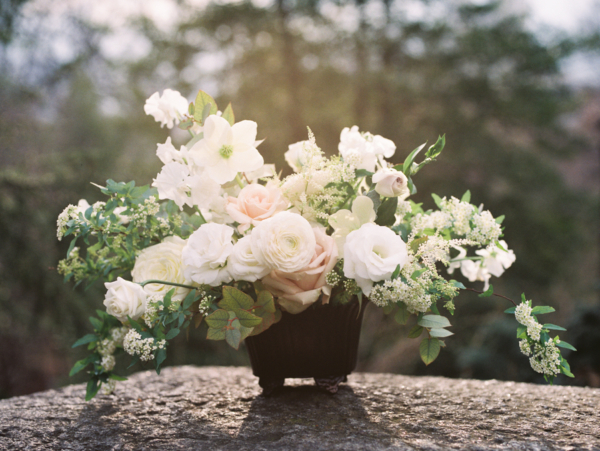 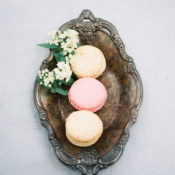 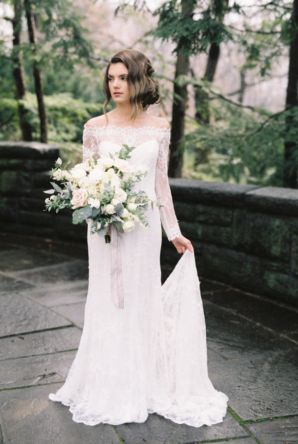 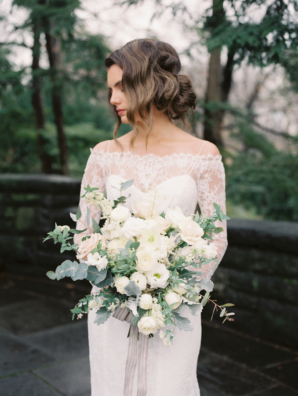 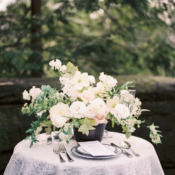 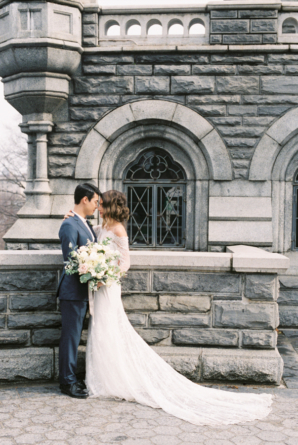 We only have one word for this gorgeous inspiration shoot set in Central Park: swoon! 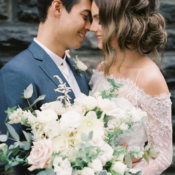 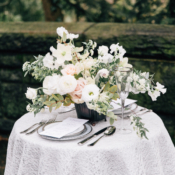 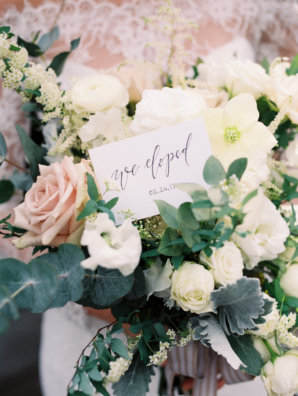 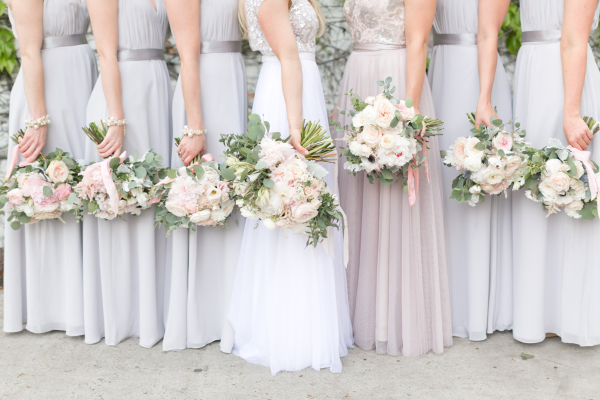 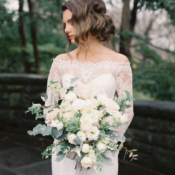 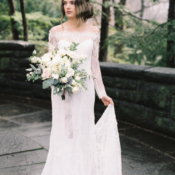 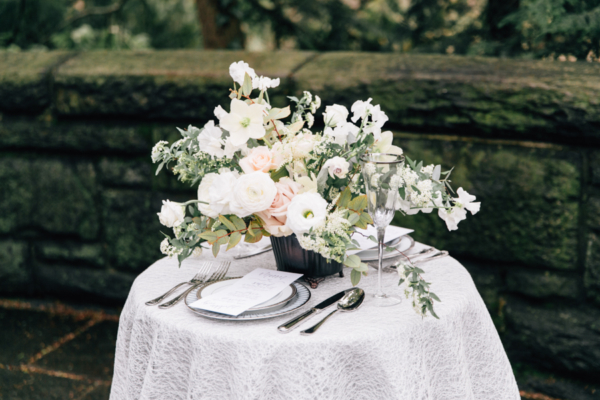 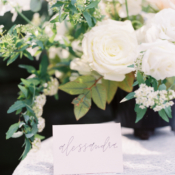 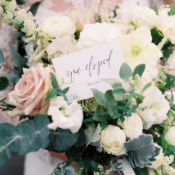 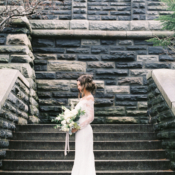 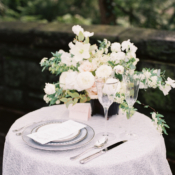 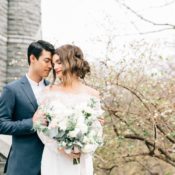 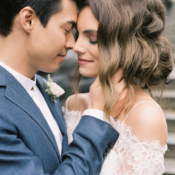 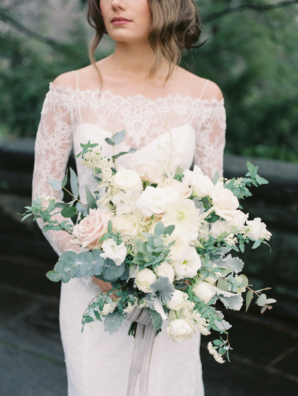 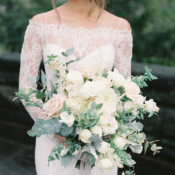 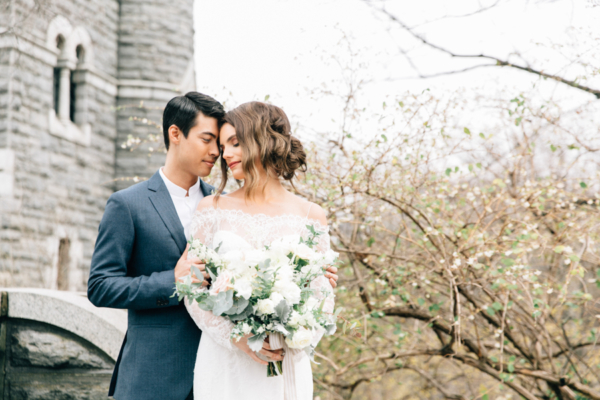 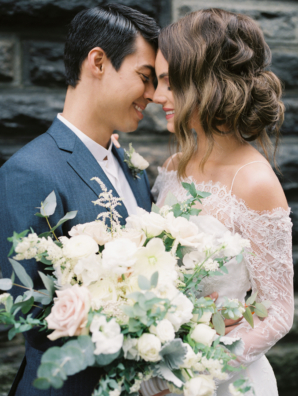 Designed by Michelle Elaine Weddings and featuring the fluffiest, most lovely blooms by Designs By Ahn, the team imagined a beautiful elopement for two at Central Park’s Belvedere Castle, an oasis in the midst of New York’s chaos. 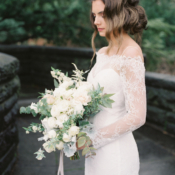 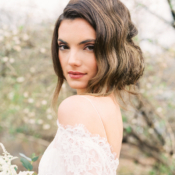 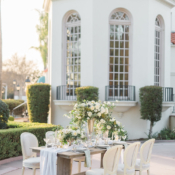 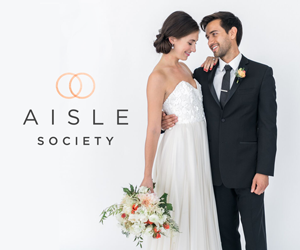 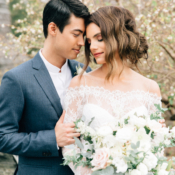 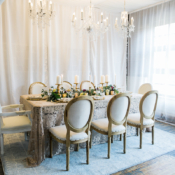 Elegant details abound and the theme of lace is echoed throughout from barely-sheer linens by Nuage Designs to a stunning lace gown with full sleeves from Lovely Bride. 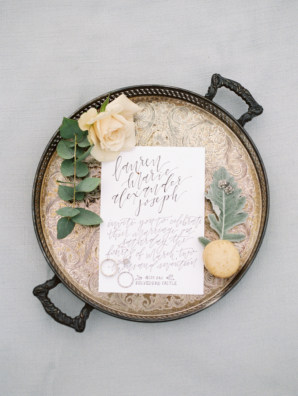 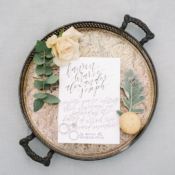 Adding a modern twist are gorgeous calligraphy invitations from Crafted By Anamarie in bark-brown ink echoing the surroundings. 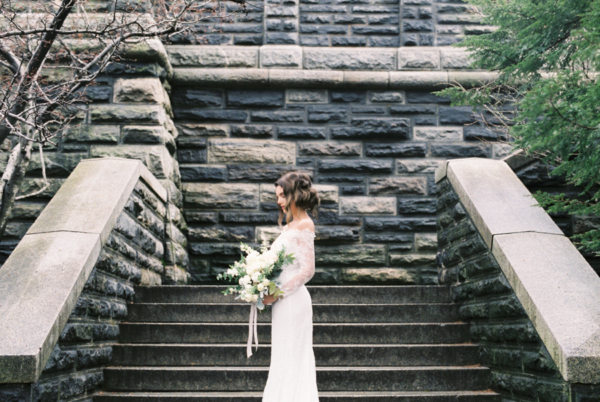 We are spellbound by each image from Stephanie Sunderland!